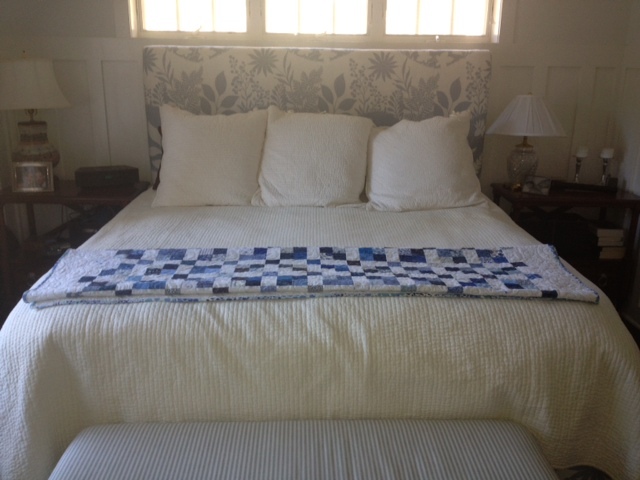 There are many of my quilts in my oldest son’s home. But, none were made especially for Mike. Bryan, my younger son, has one–“The O’Bryan,” pictured elsewhere on this blog. Both Tami and Corinne have one. All the grandchildren have one. The older four have two as they got another when they graduated to big beds from cribs. But, Mike had nary a one. 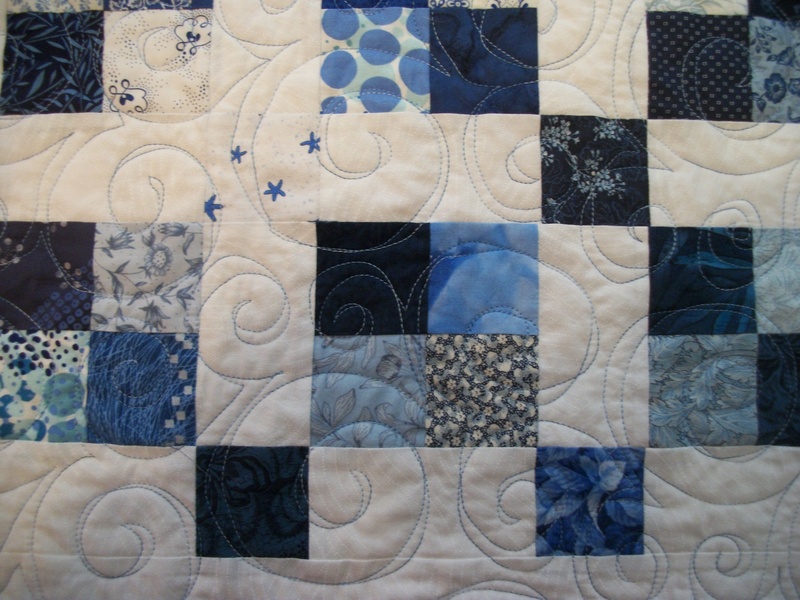 Here is a close-up of the quilting–a pantograph called Threadz from Urban Elementz, by Patricia E. Ritter (copyright 2012). 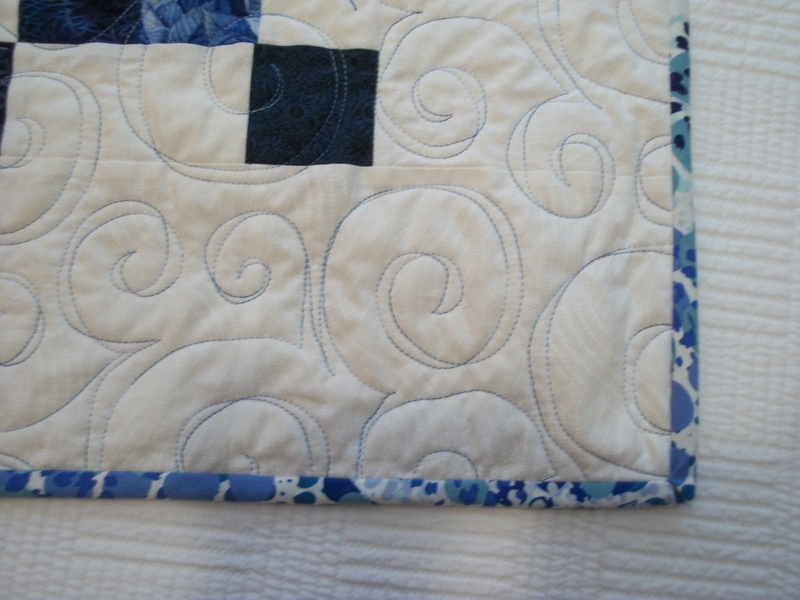 I loved the swirling energy of this pattern; it felt like wind moving on water and was very fun to quilt. Here’s a wider view, but still close up. 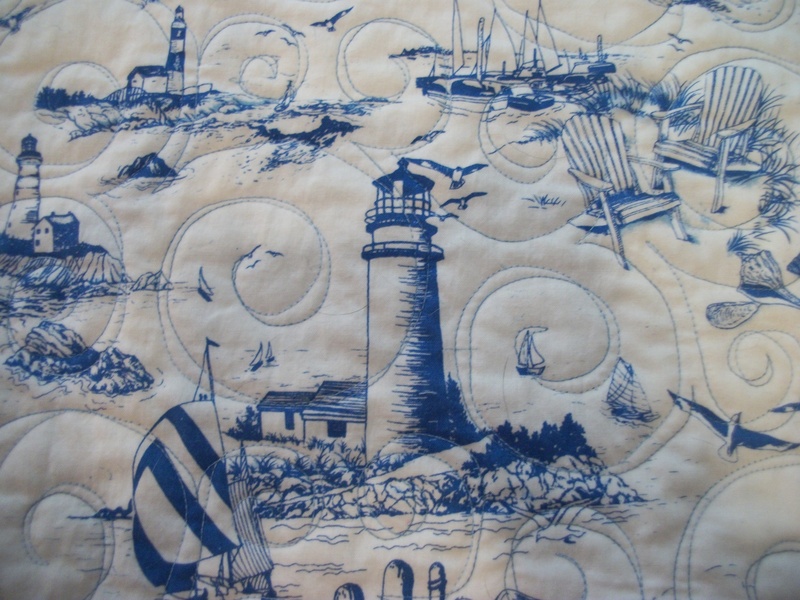 The pattern idea, “Blue Lagoon,” was seen in JELLY ROLL QUILTS by Pam and Nicky Lintott. 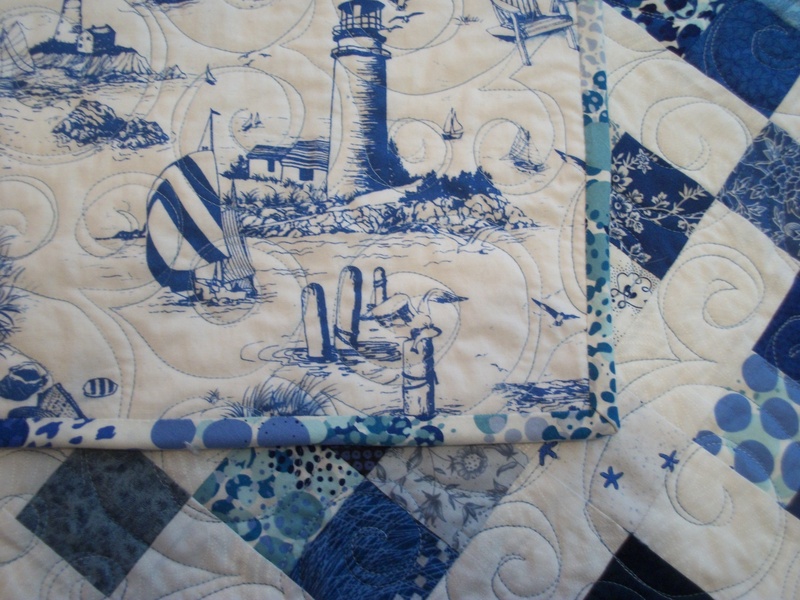 I pretty much used the same colors they did—and found a similar quilting pattern. However, this pattern is pretty basic and could lend itself to many variants. I’m going to try more blue squares in a low-impact variant. I found a big floral I’ll use as the white is used in this quilt. I can hardly wait!!! 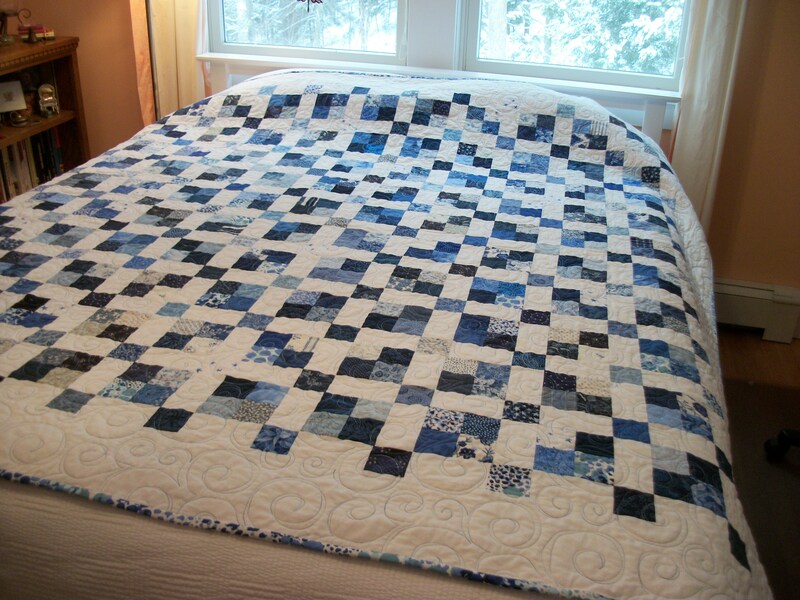 I think this quilt is my very favorite out of all you’ve made…Looks really rich in their bedroom. 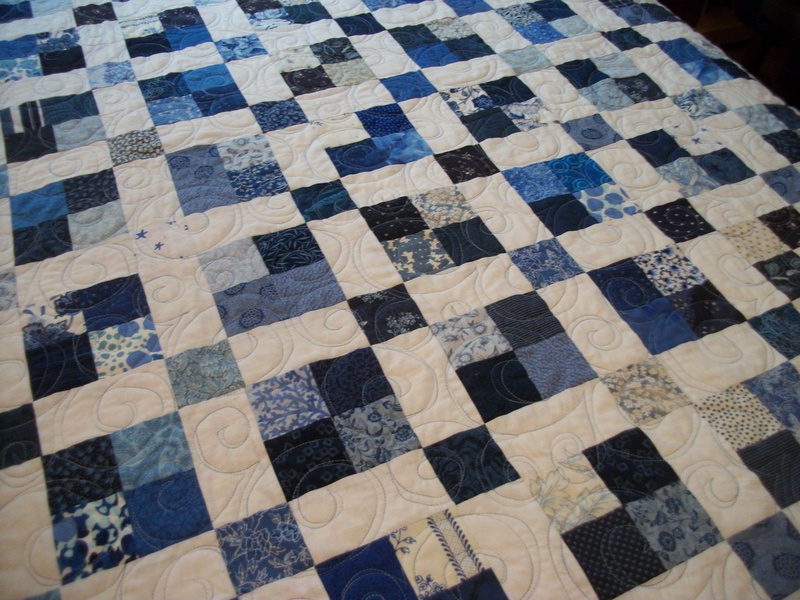 Blue and white quilts remain my favourites. I love this, you did a lovely job. Thanks and thanks for reading my blog. This is beautiful Louisa. You have taken me there.